Many congratulations to Matthew O’Leary from Shapwick School who passed his Practical Driving Test with just 3 minors on Tuesday 3rd November 2015 at Taunton driving test centre. All the best from your Driving Instructor Nigel Steady and all the team at Starfish Driving. Well done on a great drive. 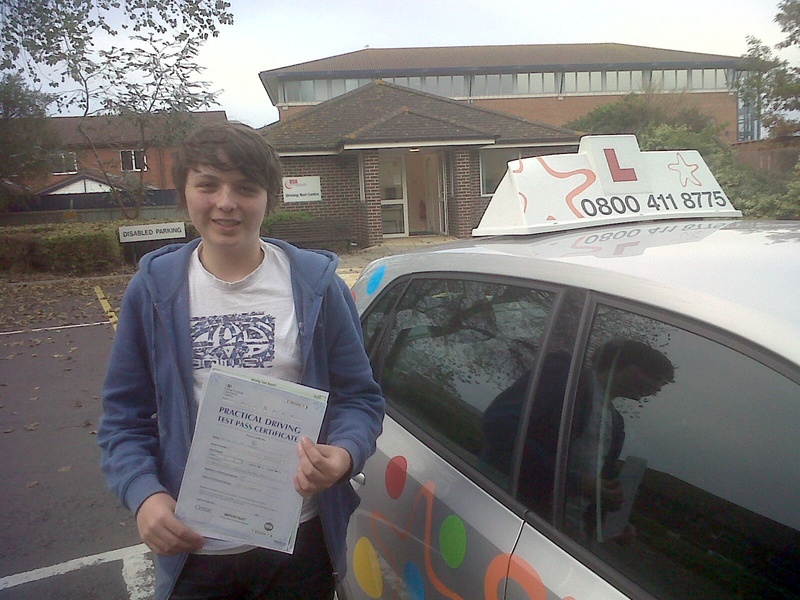 Craig with his Practical Driving Test Pass Certificate outside Weston-super-Mare Driving Test Centre. Many congratulations to Craig George from Watchfield, Somerset, who passed his Practical Driving Test with just one minor on Monday 2nd November 2015 at Weston-super-mare driving test centre. Well done from your Driving Instructor Nigel Steady and all the team at Starfish Driving. Really great drive!